Keep your skin hydrated naturally with your own skin-loving body lotion and vegan lip balm. 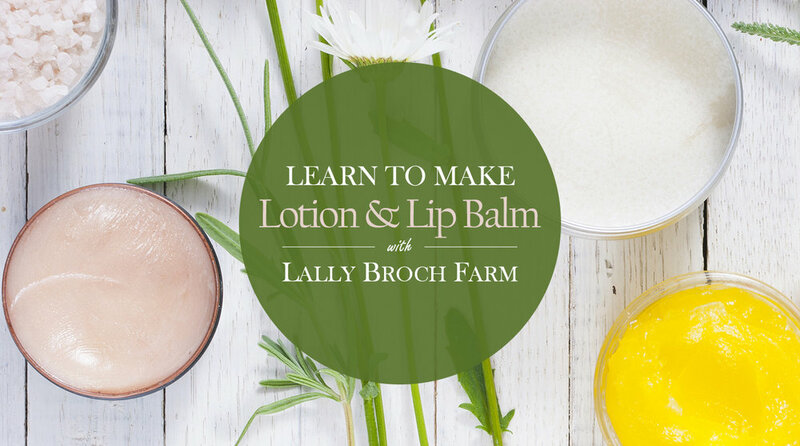 Lally Broch Farm will take you through all the steps in this fun class where you will create 16oz of body lotion in a mason jar with lid and pump. Then, try your hand at creating your own flavorful lip balms to lock in moisture. Class is $45 and seating is limited. Click on the image below to reserve your spot.